Motivation is the key to getting people to click your offer links and generate a desired response. So, if you want a powerful motivating force that drives the psychology of what makes people act, putting a few words in powerful phrases to create the actions you want is the key. A call to action or CTA is the most powerful of all your content because it delivers a climatic resolve from your content that projects into your prospects mind’s, making them want what you have to offer. It’s the clicks that are driven by CTA words that make the difference in getting the conversions you want. I am always fascinated by what makes people click links to convert email optins and sales. The psychology behind it may be deep, but you don’t have to be a psychologist to use the power of call to actions. So how do CTAs fit into your content? In landing pages (also known as squeeze pages), the CTA is under the headline and sub-headline or just after any added content on the page. It should be above the eye-fold line and the last thing the visitor sees. CTAs can also be embedded more than once on a given web page. However, that is based on the style of page and length of the content. In graphic banners, there is usually only one CTA. Pop ups and slide-ins also have strong call to actions embedded on them. A CTA is a phrase that may appear in bigger font size. However, it usually encourages the web visitor to click the link to get what the offer promises. It can be a whole banner or a button within a banner at a website or blog. Even just a plain simple cloaked hyperlink in any web page can make for a powerful CTA. Why call to actions work so well are because they are telling your prospect exactly what to do. One of the lessons I’ve learned over the last 20 years of online marketing is that people need to be told what to do to take the next step. Even though you may think the next step is obvious, spell it out in a CTA for your readers. This creates the tone for you to begin sharing the value you have to offer and, you can do it without any arm twisting or heavy hype. By using persuasive words you can turn prospects into paying customers. You can use emotions like the following to help persuade and tap into the buying mind. Including a benefit in yoru CTA will almost always outperform a general CTA. For example, which link below would you be more inclined to click on? Let’s look at 21 hackable CTAs you can personalize for your online business. You can easily modify these proven CTAs by modifying them where the blank leaves a space. Note: Some can be used just as they are. For Faster [………….] Click Here Now! There you have it. 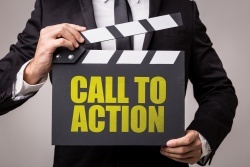 21 hackable call to action phrases you can start using in your marketing today. Of course, there are more but these are here to give you a great head start on hacking your own call to actions. The thing I want you to keep in mind is all marketing is a test. Therefore, split-testing call to action phases is a must you need to do to be able to produce the one that converts the best. This type of split-testing puts one CTA up against another. And, in that you will see the conversions vary from one to the other. Once you create what is called the “control” meaning the best of the two, now continue split-testing trying to beat the control call to action and rinse and repeat. You should be able to come up with a good converting CTA to produce high conversions. 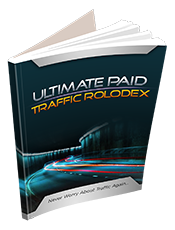 This will assure you are getting the most conversions from your CTAs and bring in more leads and income which ever you are marketing on a given page or banner. Give this a good try and I am sure you will be surprised to see which CTA wins over the other. It never gets old and is always exciting discovering a new CTA that pulls-in more sales and more leads. Great post to start 2018 off Gauher. I’ve missed your regular posts. Question. Would you put the CTA text on the buying buttons themselves? Or above the buying button just in text and then the button text is “Add to Cart”, etc? 50% of search is on mobile so long text CTAs also need to fit somehow on small screens. Some visual examples in your post would be helpful please.